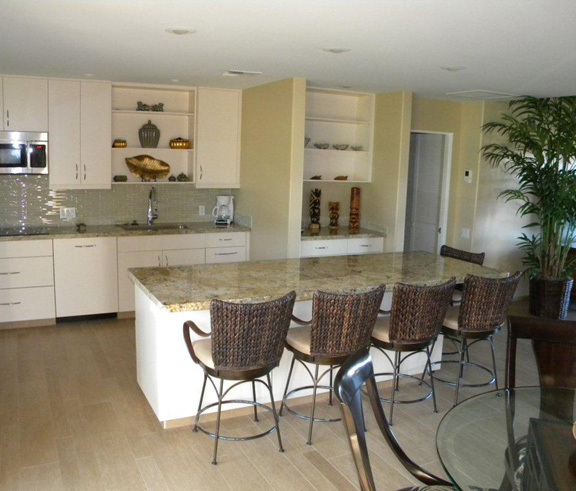 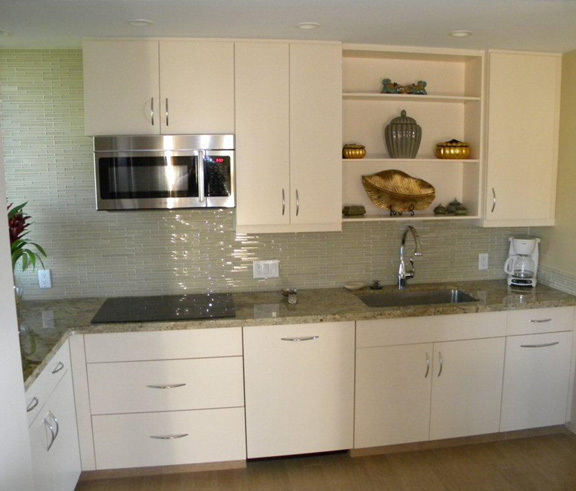 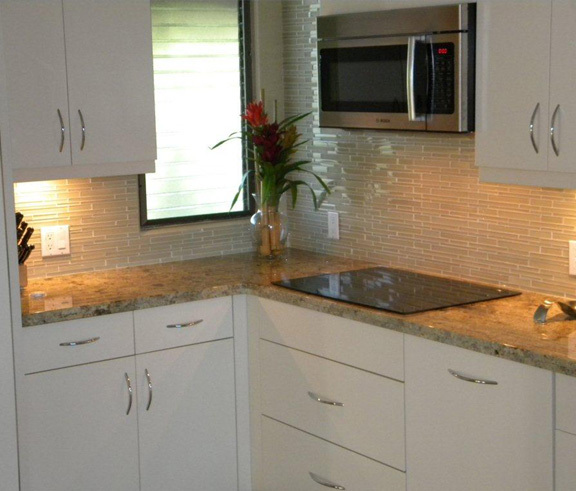 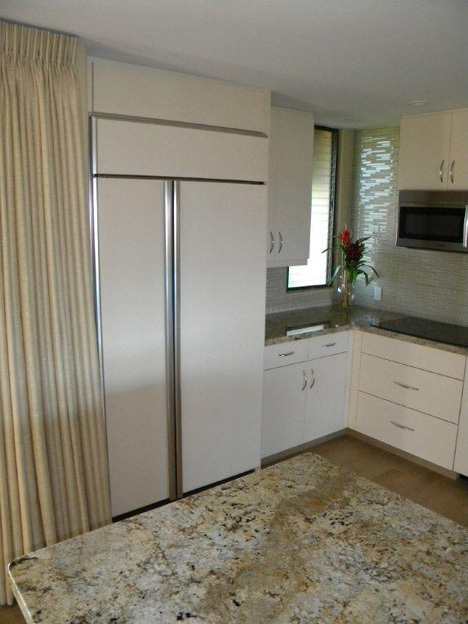 This remodel is one of the more recent and most extensive in Elua that we assisted the owner with. 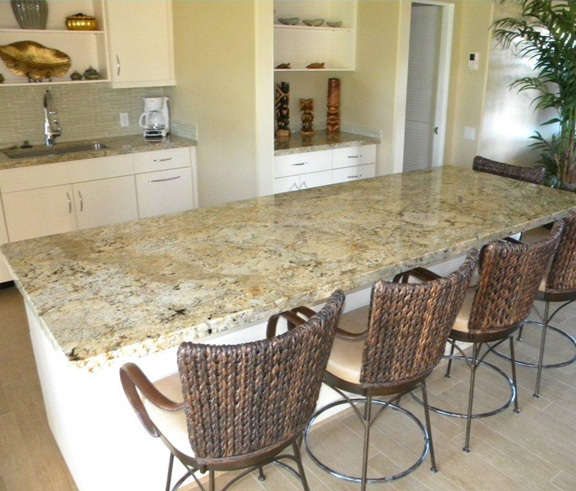 It basically involved gutting this largest two bedroom Elua plan and completely transforming the kitchen into a light and open gourmet work place with its’ open ocean view, beautiful new cabinets, massive one piece bar of exotic granite, top of the line built-in appliances and an impressive glass tiled full backsplash. 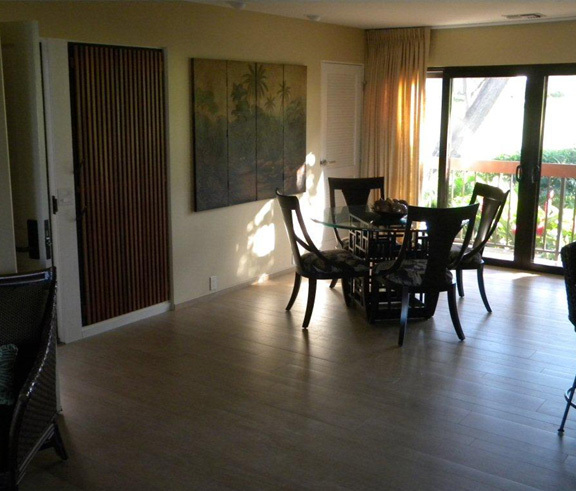 The air conditioner was moved to the attic to make space for the kitchen enhancements. 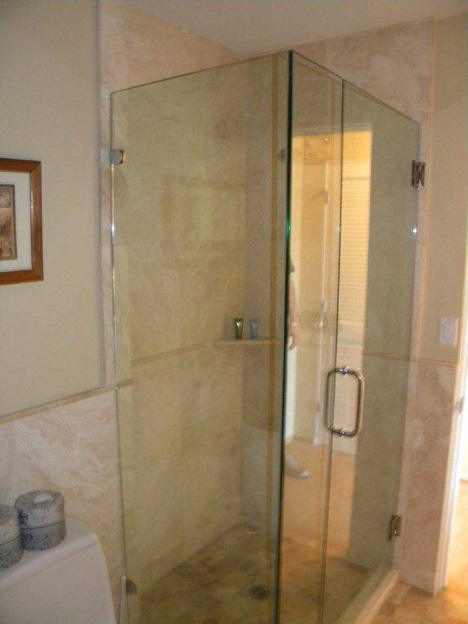 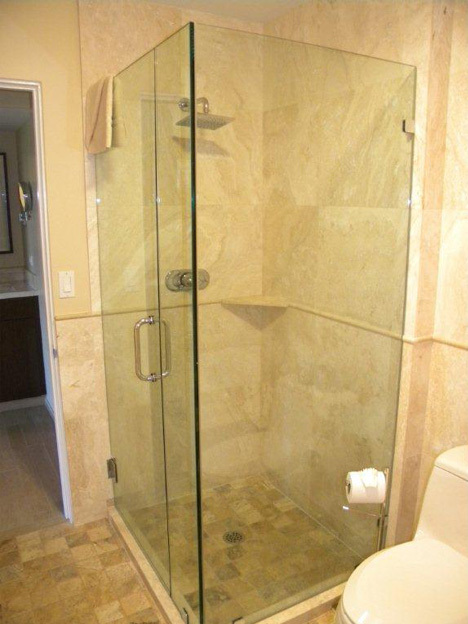 A glass enclosed shower and a separate sunken tub were added to the large master bath suite. 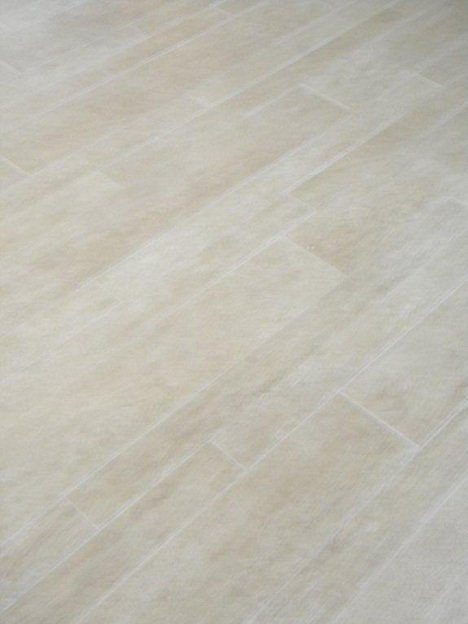 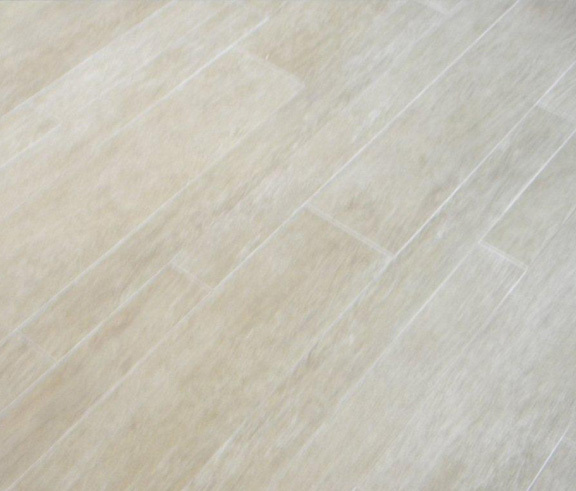 The floors are unique, beautiful and nearly indestructible porcelain tile but they have the appearance of plank flooring. 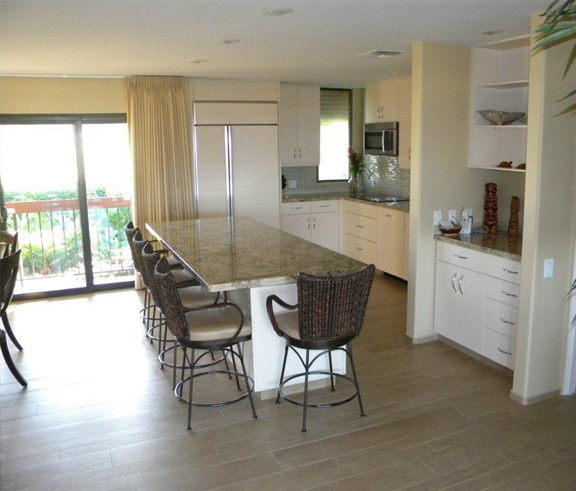 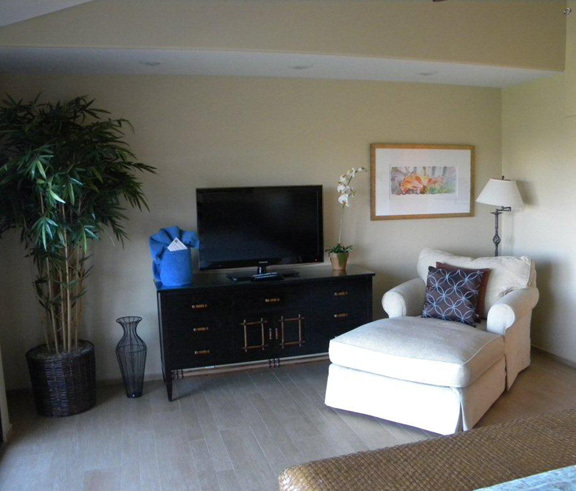 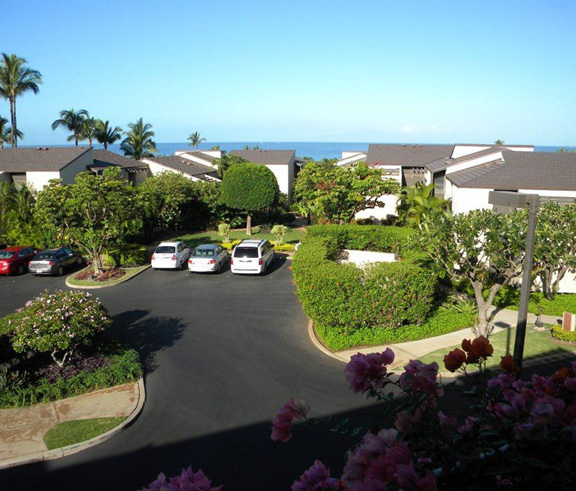 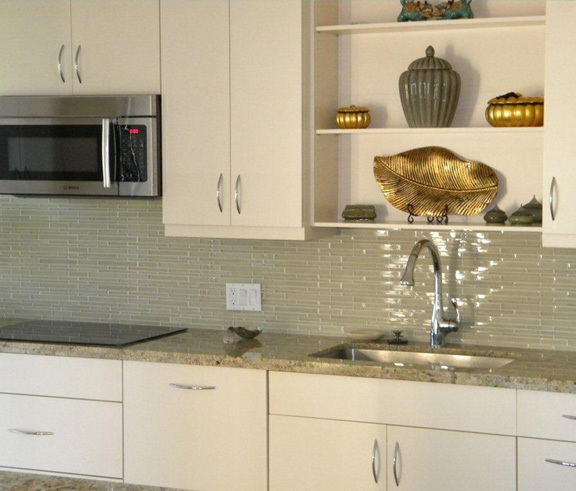 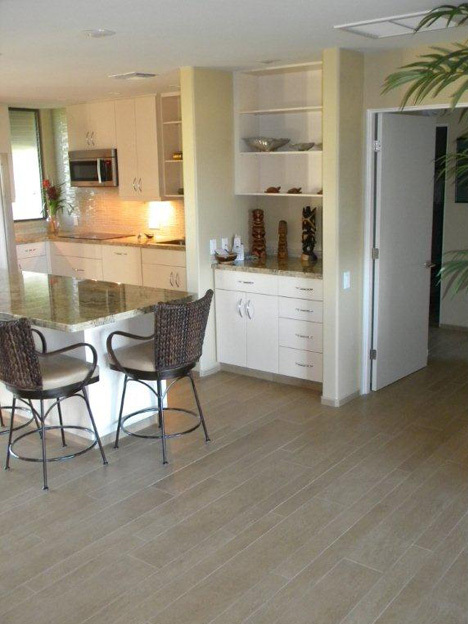 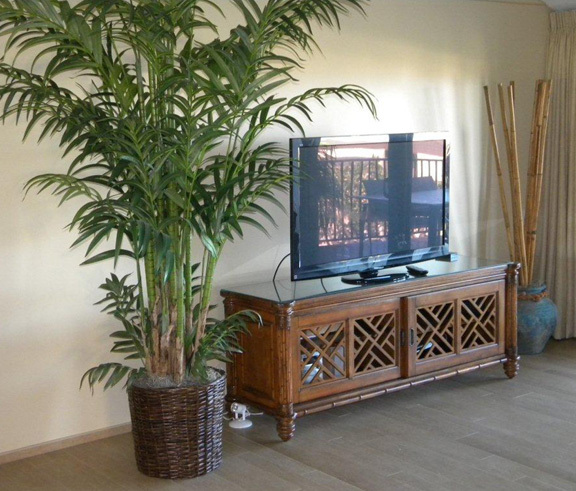 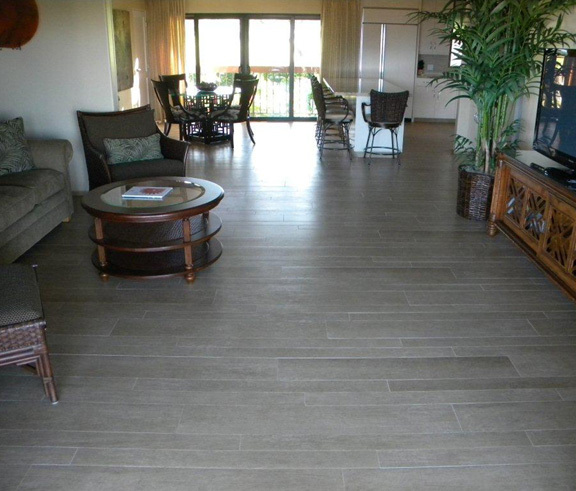 The tile extends throughout the unit and flows out to the lanai. 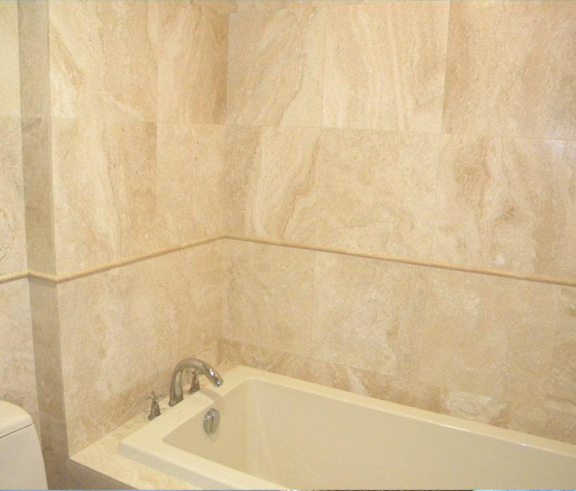 This was a major undertaking considering all the special attention required for soundproofing and leveling very uneven floors. 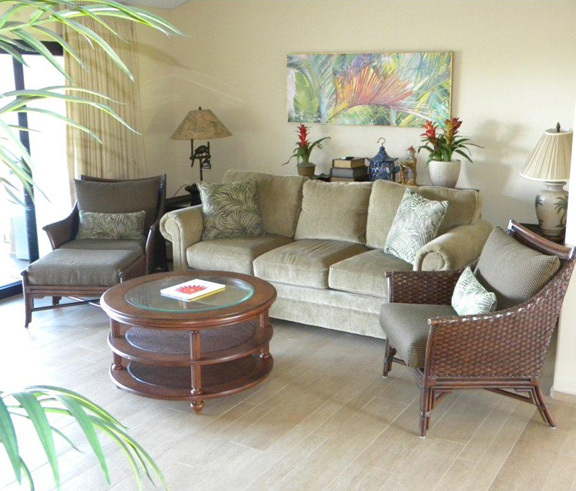 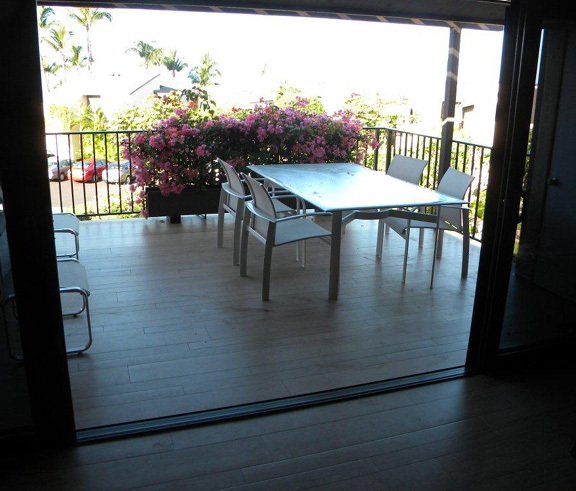 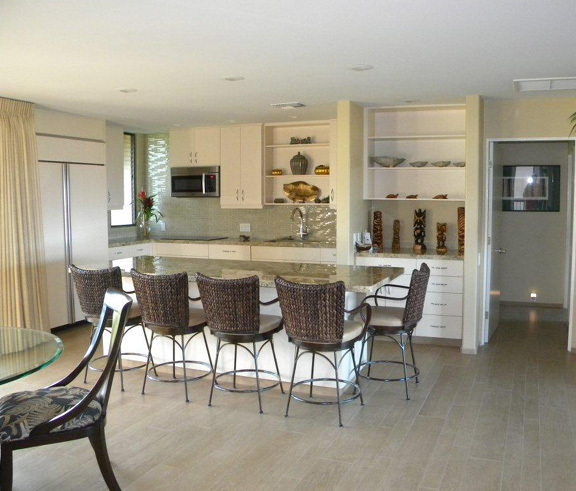 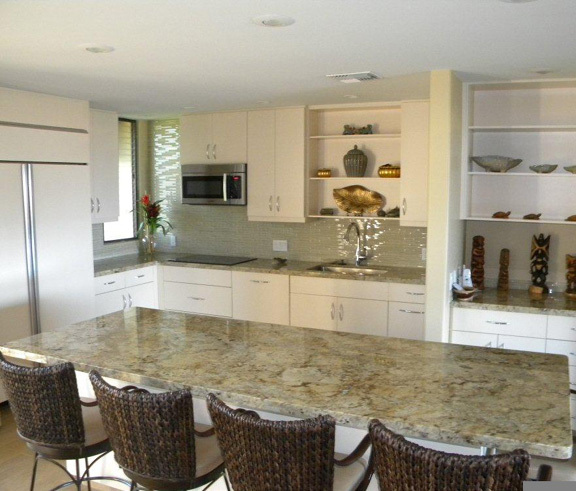 Easy glide glass slider doors now separate the living areas from the lanais. 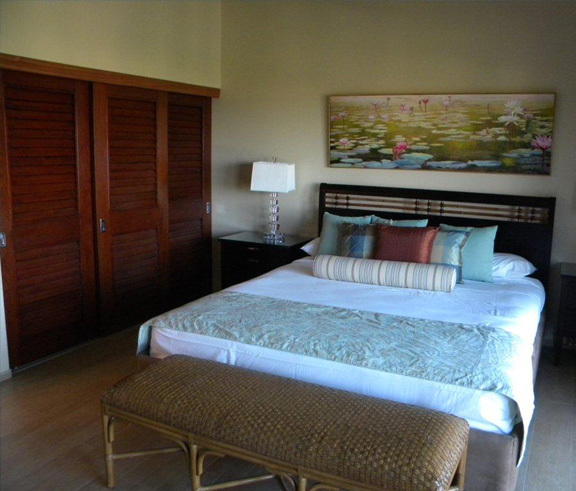 The master bedroom was significantly enlarged with the removal of two small closets that were needless after we enlarged the main closet area. 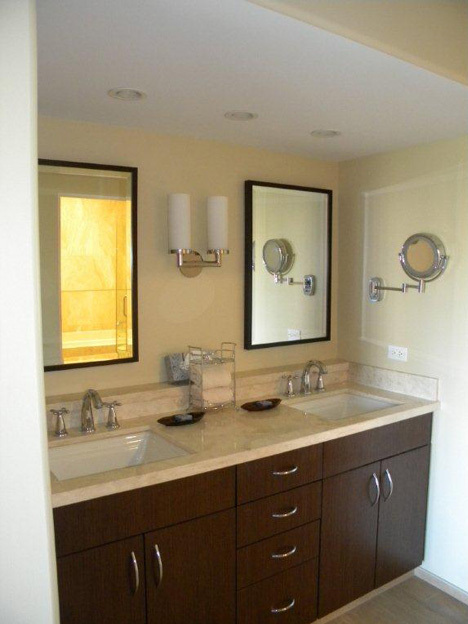 The owners requested top quality throughout and they now have a showplace as can be seen from the attached photos. 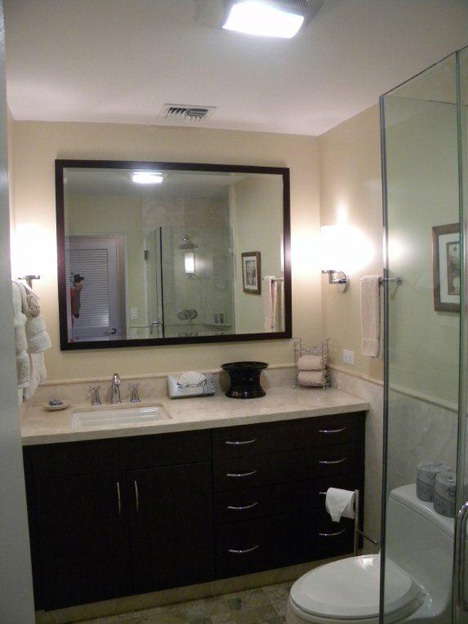 The renovation project was very extensive and included numerous other notable and time consuming improvements. 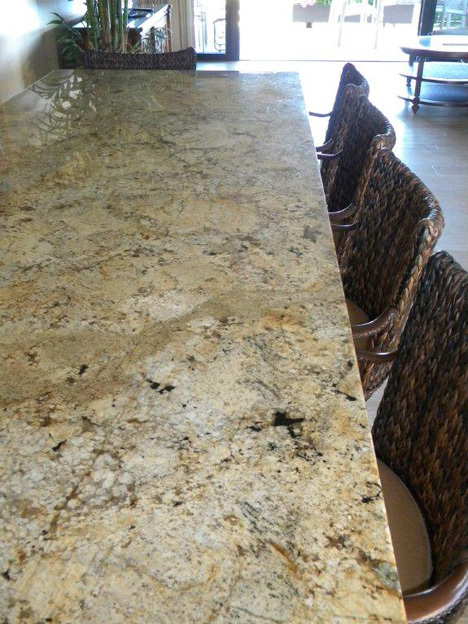 However, we were proud to be able to assist in completing the project in a little over 90 days from start to finish. 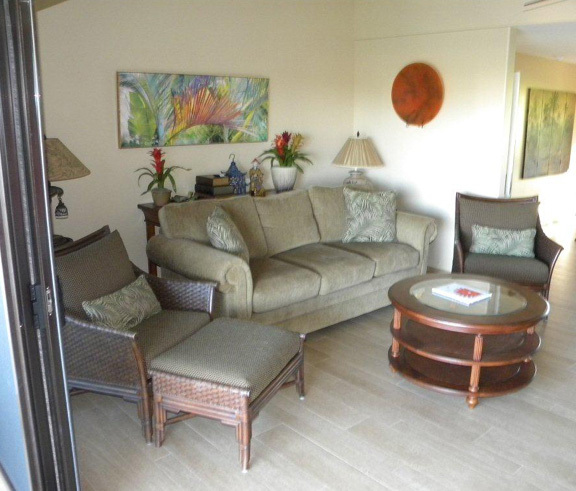 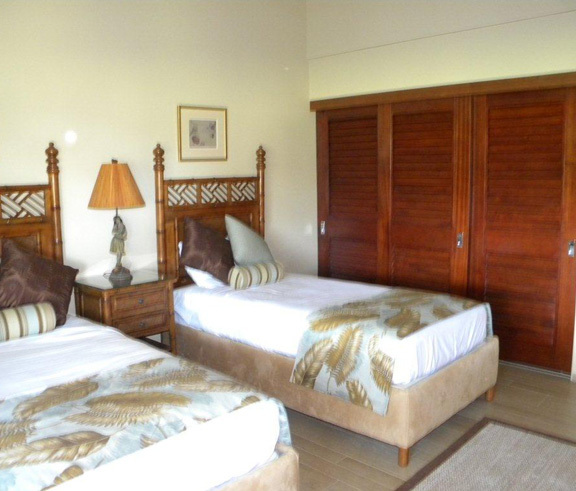 We are aware that time is money in vacation rentals and know how to assist in expediting jobs to accommodate owner’s time constraints.